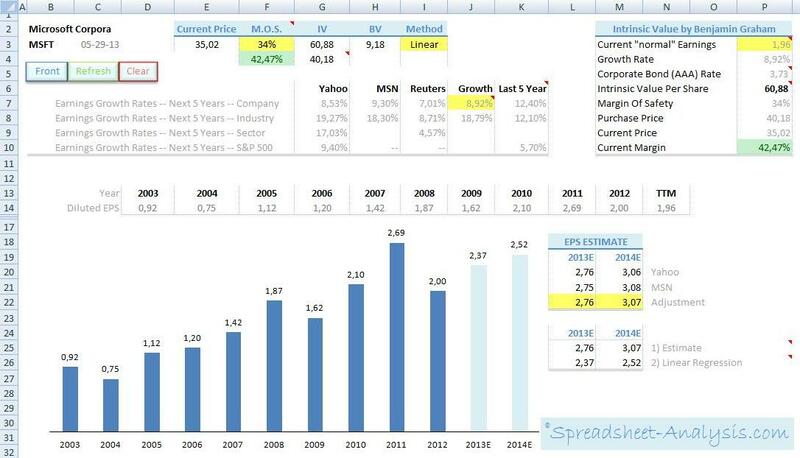 Spreadsheet Analysis has made a front page for a quick look how a company is doing. 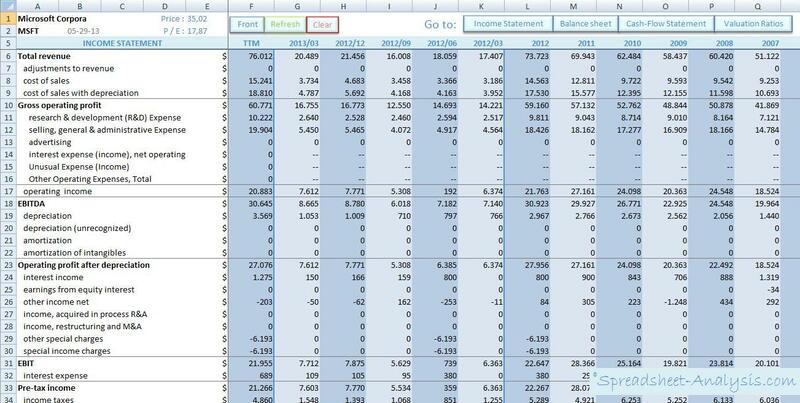 This is a small overview of the entire Spreadsheet Analysis tool. 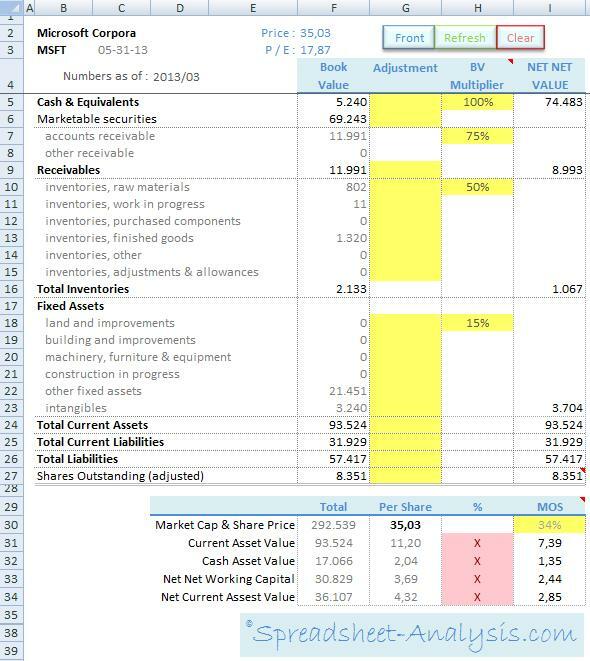 In the Financial sheet you can find the companies Income Statement, Balance Sheet and Cash-Flow Statement back to 20 years ago. Also the last 5 quarter reports are available to you for making an investment decision. The Earnings Graphic gives you a good view of the companies earnings and dividends record. You can also see the price range of a stock in any particular year. Two Calculations often called as “NCAV” and “NNWC” described in the book “Security Analysis” written by Benjamin Graham and David Dodd. Intrinsic Value template is based on the formula described by Benjamin Graham in his book “The Intelligent Investor”. The Piotroski F-Score is a calculation developed by professor Joseph Piotroski. 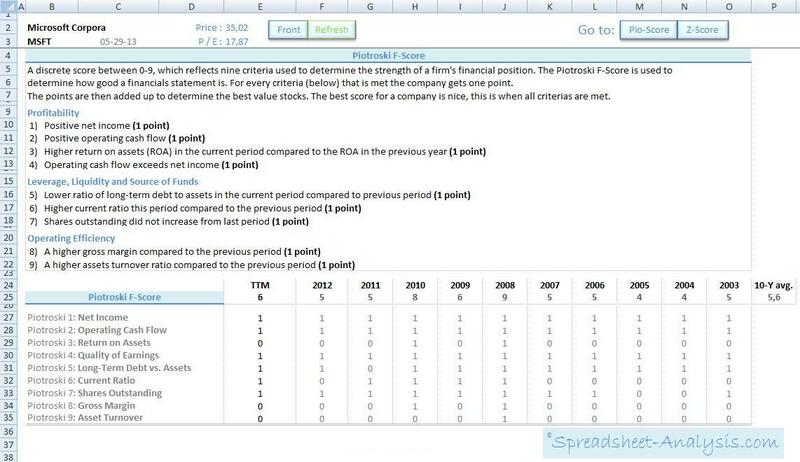 Altman Z-Score is a formula for predicting bankruptcy of a company. This formula was published in 1968 by Edward Altman.